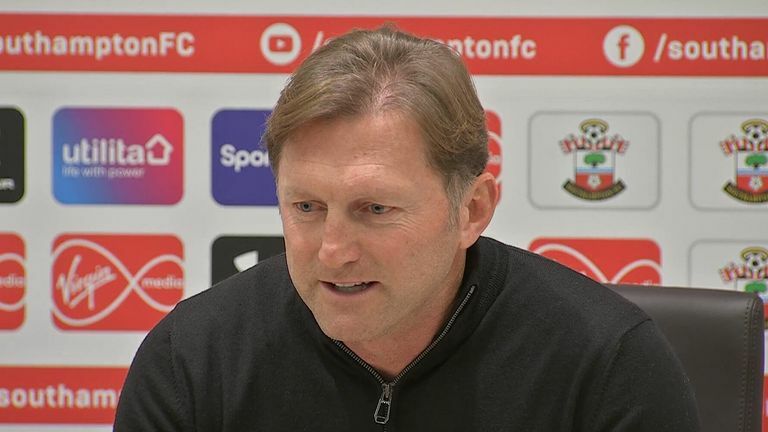 New Southampton manager Ralph Hasenhuttl dislikes his 'Klopp of the Alps' tag and says his goal is to get his own name known in the Premier League. The former RB Leipzig boss was adamant he is "not afraid" of the task ahead of him after watching Wednesday night's defeat at Tottenham from the Wembley stands, before officially taking over as Southampton boss on Thursday. "The first target is to get out of relegation zone," said the Austrian, who took his coaching licenses alongside Liverpool manager Jurgen Klopp. The pair's close relationship has earned Hasenhuttl the nickname of the 'Klopp of the Alps' - a term the Southampton boss wants to shirk. "I don't like it so much," he said, confirming his name translates as 'small hut for a rabbit', ahead of taking charge of his first game against Cardiff. "I want to be my own character. "I was always a fan of his football, a very proactive way to play, he set marks in Germany with his football. That really influenced my style." Hasenhuttl admits emulating Klopp's success would be fantastic but that Saints "have other problems". But the 51-year-old has set his sights on grabbing his own headlines in the future as he set out his blueprint to make a big impact in English football. 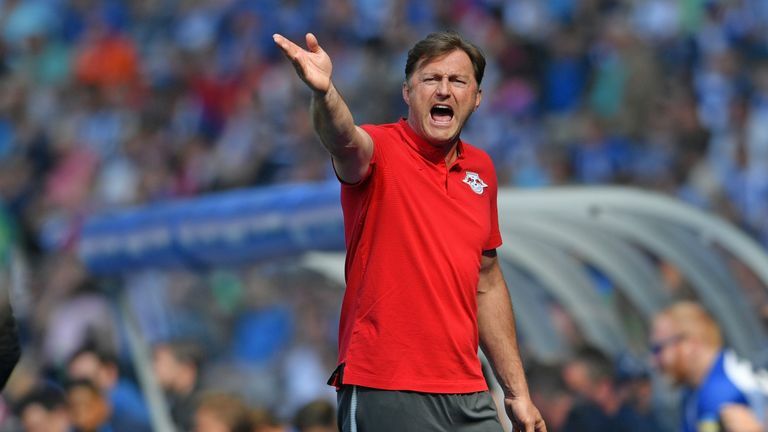 "It's a big challenge but also the logical next step in my career," said Hasenhuttl. "My goal is to get my name known here in the Premier League. "When I left Leipzig I was thinking about my next step, and I want to stand in front of a new team, new language, to get developed personally and in my view of football, that's why I made the decision to come to Southampton." Hasenhuttl revealed there was no contact from Arsenal in the summer after Arsene Wenger's departure, contrary to reports. "I was always in my mind that for the top-six clubs in England my name was not big enough," he said. 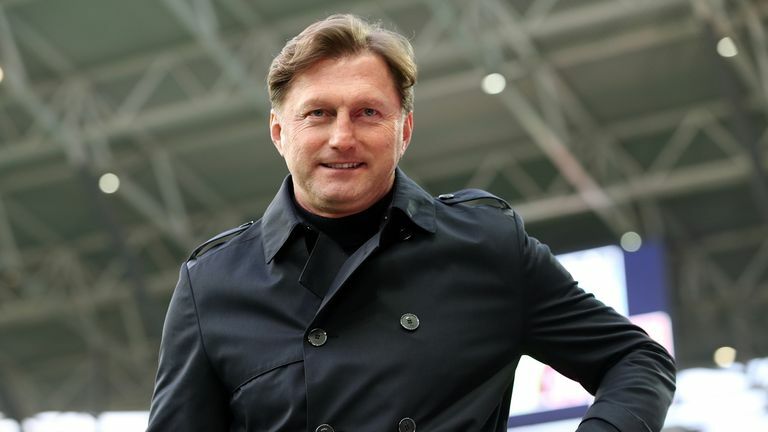 Hasenhuttl has instead signed a two-and-a-half-year deal at Southampton, who have seen three managers come and go in the space of 18 months. "I want to put my footsteps in the snow here," he added. "I'm looking forward, not afraid of anything. "It's a bit back to the roots for me, last year I had a fantastic Champions League team, we were on a very high technical level, the step is not the easiest one but I never want it easy in my life. I always challenge myself." He said he wants to push Southampton's current squad "to their limits" before making decisions over any possible January transfers. Chairman Ralph Krueger, a fellow German speaker, has promised Hasenhuttl support in the window, but the Saints boss believes turning to the market is not always the best philosophy. "If you want guarantees you have to buy a washing machine," he said.